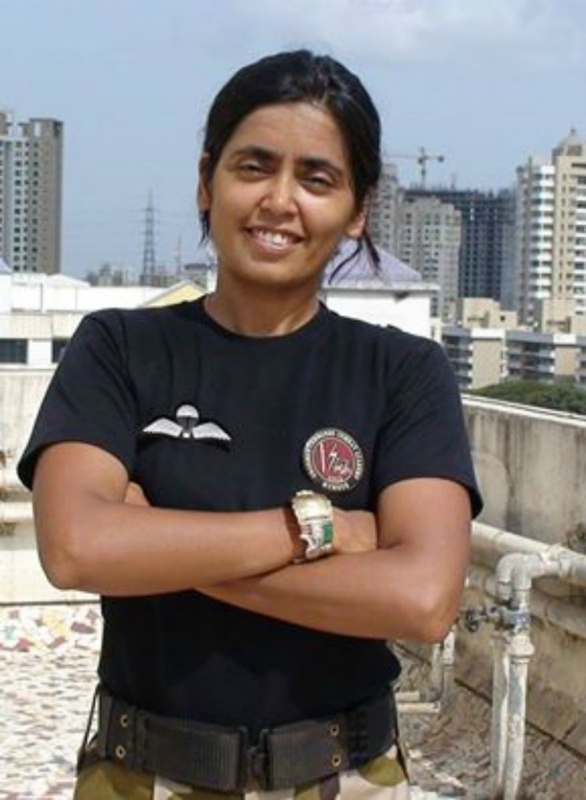 Meet Seema Rao, India's Only Female Commando Trainer, Who's Also A Firefighter & A Filmmaker! Time and again we have heard stories that didn't just inspire us, but made us realise that our issues in life are almost negligible. There are inspiring stories all over the world that give us a bigger picture of how some people fight it out against all odds, only to emerge as a winner. Here's another such story that will make you believe that nothing is possible. Like, nothing. Let us introduce you to a wonder-woman. Dr. Seema Rao is India's only female commando trainer who has been training the Special Forces for 20 years without any compensation. She's also a 7th-degree black belt holder in military martial arts, a combat shooting instructor, a firefighter, a scuba diver, an HMI medalist in rock climbing, and a Mrs India World pageant finalist. Apart from all the achievements we have stated above, here is an additional list of all the wonderful things that Rao has done till now. 1. She's one of the rarest people in the world who have mastered the art of Jeet Kune Do (It is an eclectic and hybrid martial art founded by Bruce Lee in 1967) and she further got authorised to teach the same. 2. She has been certified as a doctor in conventional medicine. She also has an MBA degree in crisis management to her credit. 3. She's also a co-author. She has co-authored many books. From first Encyclopedia of Close Combat Ops training in the world which is produced solely for Indian forces, the first Indian book on world terrorism - A Comprehensive Analysis of World Terrorism to the Commando Manual of Unarmed Combat, all her books are available at libraries of FBI, INTERPOL, UN, and SWAT Police the world over. 4. Apart from all the accolades and awards, she has also received: World Peace Award by World Peace Congress, Malaysia awarded by the Prime Minister of Malaysia for contribution to the country in 2008, US President's Volunteer Service Award, three Army Chief Citations, Home Minister of India Letter of Commendation in 2009 placing on record the selfless National service in the field of close quarters battle training, and a 1000 felicitations from Indian government. 5. Not many know that she also produced and acted in India’s first mixed martial arts movie, Hathapayi, which revolves around a woman protagonist. This was the first Indian film that showcaseda martial art of Jeet Kune Do. Even when she and her husband were facing monetary issues, they never started charging money for their training. Her work demanded travelling to some of the riskiest areas and because of her work commitments, she even had to miss her father’s funeral. From a vertebral fracture to being mercilessly shot by insurgents, even when there were many obstacles, she chose to never give up. Once, she was attacked and after suffering a head injury, she almost lost her memory for a short while. However, she regained it and her life was back to normal. In a world where a girl child is aborted or killed after the birth, the couple adopted a girl child. Apart from all the risks that were involved in their jobs, the couple adopted a girl child instead of going for a normal childbirth process. We are proud of you, woman!